Running from 4th-24th July 2011, the Mayor of London presents Shubbak, the capital’s first ever celebration of contemporary culture from across the Arab World. The programme is showcasing over seventy events in more than 30 venues throughout the city in a range of visual arts, film, music, theatre, dance, literature, architecture, lectures and discussion. The festival will feature works by contemporary Arab artists, writers, filmmakers, musicians, choreographers and architects based in London and around the world including Algeria, Bahrain, Canada, Egypt, India, Kuwait, Lebanon, Libya, Oman, Palestine, Qatar, Saudi Arabia, Spain, Sudan, Sweden, Tunisia, Turkey, United Arab Emirates, USA. The APART gallery in Great Malborough Street has one of their gallery spaces converted into a ‘salon’ by Moroccan artist and photographer, Hassan Hajjaj. 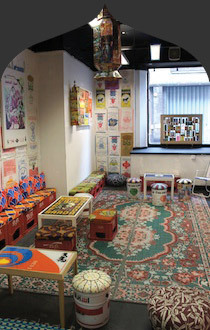 Go on this visual journey between London and Moroccan until 20th August 2011. 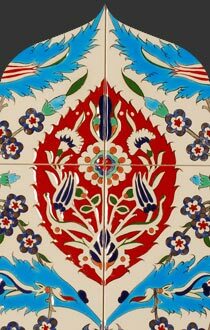 Check out this year’s graduating students work ranging from wood carving, stained glass, Indian folk painting, manuscript illumination and ceramics. The Degree Show runs until 15th July 2011 at at The Prince's School for Traditional Arts, Charlotte Road, London. 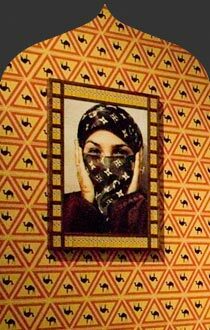 The V&A presents a selection of works shortlisted for this year's Jameel Prize, a bi-annual £25,000 international art prize for contemporary artists and designers inspired by Islamic traditions of art, craft and design. Expect to see works ranging from felt costumes to sculpture made from hand-made terracotta bricks and from mirror mosaic to digital collages. Running until 25th September 2011. Images courtesy of Mayor of London website.